Fill out the form with any questions or inquiries you have for the sales consultants at Lomas Encantadas. You can also call or chat with us for immediate responses. 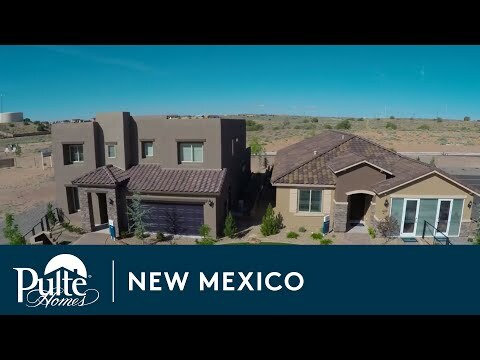 New homes for sale in Rio Rancho, New Mexico’s Enchanted Hills area, Lomas Encantadas provides Consumer Inspired one-and two-story homes designed for your everyday living. You’ll enjoy views of the Sandia Mountains, a top-rated onsite elementary school and a short drive to Interstate-25 and other conveniences when you own a new home in Lomas Encantadas. The life you want to live is waiting for you at Lomas Encantadas. Explore this community and see for yourself. Lomas Encantadas is a vibrant neighborhood close to I-25 and a short drive from The Enchanted Hills Shopping Complex. Whether plans call for a run in the mountains, or running to the store, Lomas Encantadas offers convenience to both with new homes for sale in Rio Rancho. Lomas Encantadas is located within the top performing school district, near shops, dining, entertainment and outdoor recreation. Enjoy easy access to I-25 to Santa Fe or Albuquerque. Discover the new Plaza at Enchanted Hills with retailers including Bed Bath & Beyond, TJ Maxx, and PetSmart. Visit Santa Ana Casino and Santa Ana Event Center for dining, sporting events, and concerts. At Lomas Encantadas you can enjoy the year-round sunshine, breathtaking views, and a lifetime of new memories.